Antonia & The Lazy Susans have been joining The Hard Aches on tour throughout April. Photo: Supplied. This story was produced in partnership with Canberra DIY Gig Guide. Along with a few dozen other underground music lovers, Laundry Echo predicted the rise of Antonia & The Lazy Susans back at the beginning of 2018, and with good reason. The Blue Mountains band have reached far and wide, and despite playing together for barely more than a year they’ve already been invited to tour with Nevada folk-punks AJJ and recently smashed through a set at Poolhouse Records’ enormous Pool House Party in Melbourne. CBR DIY Gig Guide’s Shan Egan and I are hanging out with the band’s four members (Kieren Turnbull, Wesley Reyes, Ashlee Giblin and the aforementioned Susan) in the cold beer garden outside Transit Bar. They’re waiting around to soundcheck, an everyday occurrence on their current national tour, the one they’re sharing with Melbourne’s The Hard Aches. 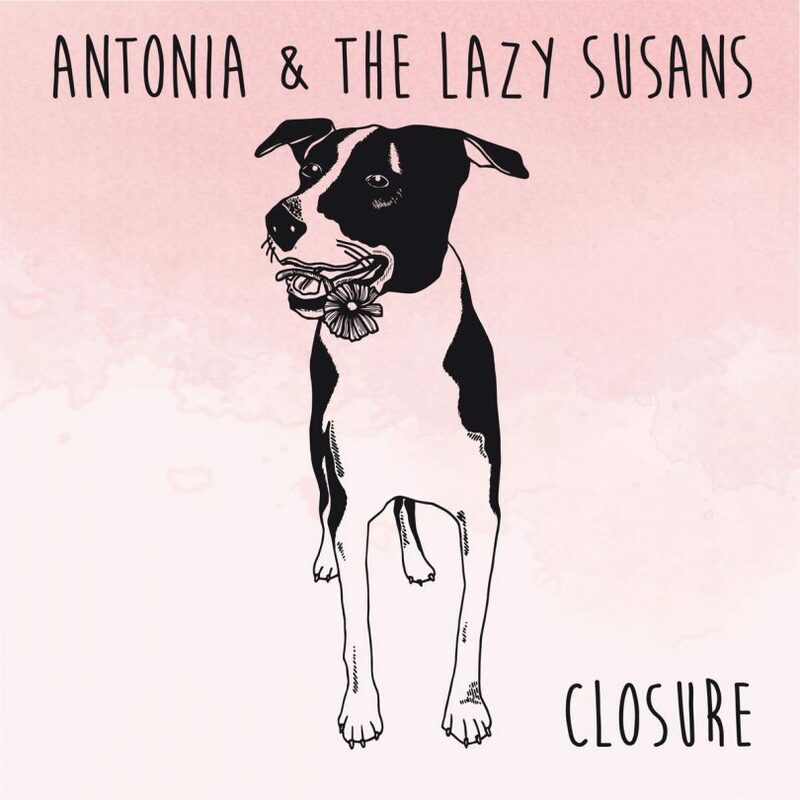 Antonia & The Lazy Susans’ debut EP Closure has been near-universally well-received. It’s no surprise. Songs like ‘Grandfather’, from the band’s debut EP Closure, are genuinely heartbreaking, and resonate with a closeness that feels truly personal. They are also catchy as hell. That connection sees Antonia & The Lazy Susans becoming embedded in a wave of sincere punk music that’s resonating around the country at the moment. 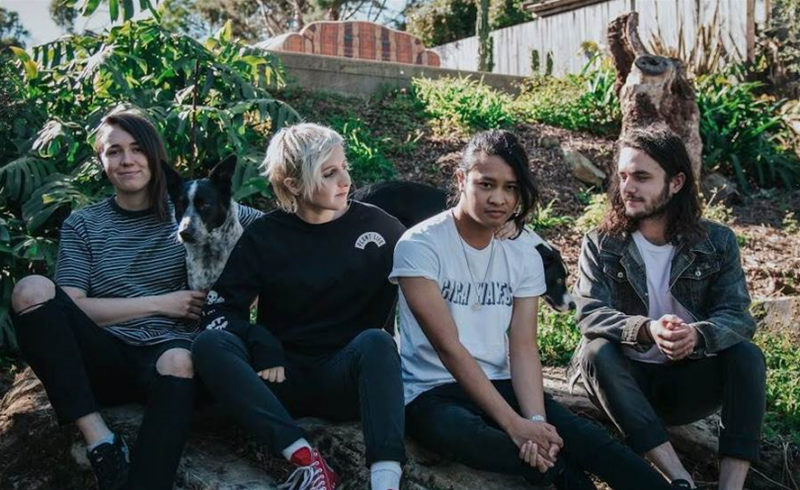 It’s something that’s only gotten stronger with the rise of Courtney Barnett, Camp Cope, and The Smith Street Band, and it’s rooted in a community that’s deeply in love with the music being made. In terms of ambition, the band are in a similar position to lots of their peers. Having given fans a glimpse into their sound with an EP, they’re ready to tackle a long-form release. “We want to do an album,” says guitarist Kieren Turnbull. “We’ve pretty much got half the album written. Writing is something we want to work on. We feel like we’ve improved as musicians and our music has changed slightly, so hopefully people will still like it. We’ve thrown a few new songs into our sets during this tour to see how they go. Based on the cheer they got after their set a couple of hours later, this might be the understatement of the year. Did you catch Antonia & The Lazy Susans when they were in town with The Hard Aches?